The bread: A rustic sourdough, hearty enough to stand up to the hefty filling but sliced thinly enough that it is easy to crunch through. 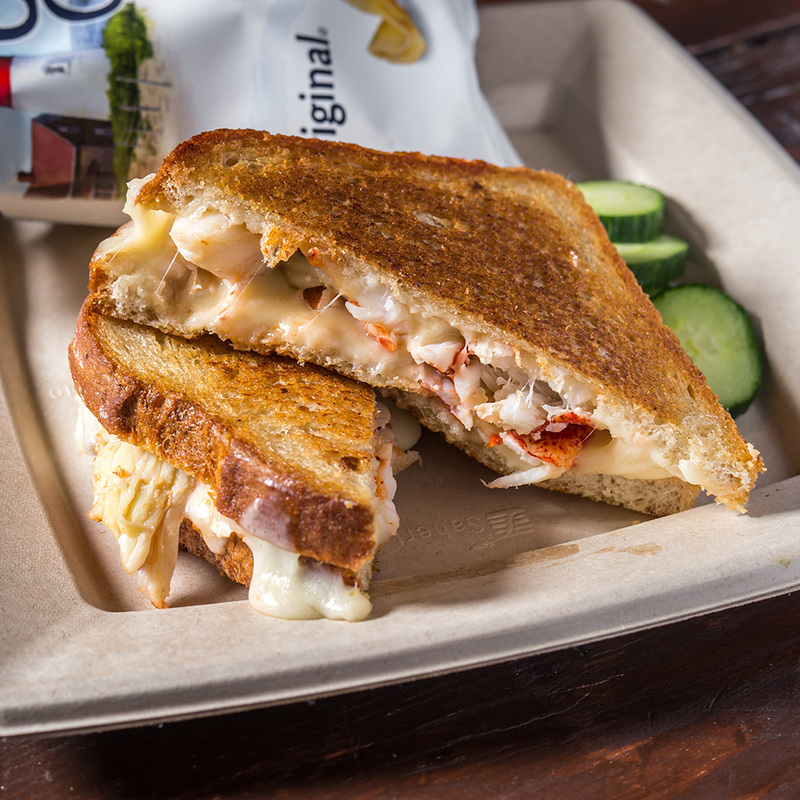 The filling: The star here, undoubtedly, is the quarter pound of fresh lobster, but a heavy helping of gooey Havarti cheese mixes beautifully. Mayer was also nice enough to give us his recipe, for anyone looking for a little lobster grilled cheese action at home today.